There has already been a significant amount of commentary and speculation about the potential ramifications of ASIC’s new CP 301 Foreign financial services providers (CP 301) given it represents a clear departure from ASIC’s historical approach to the regulation of foreign financial services providers (FFSPs), which to date has prioritised the facilitation of cross-border investment and liquidity into Australian wholesale markets. CP 301, released on 1 June 2018, proposes repealing the existing avenues of relief for FFSPs and introducing a ‘foreign Australian financial services licence’ (FAFS licence). ASIC has provided FFSPs with time to transition to the new regime by extending the existing relief for a further 12 months until 30 September 2019, and then a proposed follow up 12-month transition period from 30 September 2019 to 30 September 2020, during which affected (and eligible) FFSPs can apply for a new ‘modified’ Australian financial services (AFS) licence. Under the existing AFS licensing regime, if a person carries on a ‘financial services business’ in Australia they must hold an AFS licence unless a relevant licensing exemption applies. To date, there have been two principal avenues of licensing relief for FFSPs from the requirement to hold an AFS licence, namely relief under the ASIC Corporations (Repeal and Transitional) Instrument 2016/396 (referred to as ‘sufficient equivalence relief’ or ‘passport relief’), or the ASIC Corporations (Foreign Financial Services Providers—Limited Connection) Instrument 2017/182 (‘limited connection relief’). The sufficient equivalence/passport relief was originally contained in seven ASIC Class Orders (namely, [CO 03/1099] UK regulated financial service providers; [CO 03/1100] US SEC regulated financial service providers; [CO 03/1101] US Federal Reserve and OCC regulated financial service providers; [CO 03/1102] Singapore MAS regulated financial service providers; [CO 03/1103] Hong Kong SFC regulated financial service providers; [CO 04/829] US CFTC regulated financial services providers and [CO 04/1313] German BaFin regulated financial service providers). In September 2016, these sufficient equivalence Class Orders were repealed; however, the relief provided under them was temporarily extended until 27 September 2018. The limited connection relief was originally contained in ASIC Class Order [CO 03/824] Licensing relief for financial services providers with limited connection to Australia dealing with wholesale clients (CO 03/824). CO 03/824 has also been repealed, but the relief provided under it was extended to 27 September 2018 following industry consultation. ASIC states the aim of the proposed reforms is to strike ‘the appropriate balance between cross-border investment facilitation, market integrity and investor protection‘. The regulator believes the current regime no longer strikes that balance. little-to-no mutual recognition of Australian entities by foreign regulators. ASIC notes that compared to other, similar jurisdictions, Australia’s exemptions for FFSPs are particularly broad. What is the FAFS license? Under the proposed regime, from 30 September 2019 only FFSPs who are licensed or authorised in sufficiently equivalent jurisdictions, or on limited connection relief will be eligible to apply for and maintain a form of AFS licence (FAFS licence), to carry on financial services business with wholesale clients in Australia. Importantly, FAFS licensees would be exempt from four of the key general obligations of an AFS licensee under s912A of the Corporations Act. comply with other obligations prescribed by the Corporations Regulations 2001 for the purposes of s912A of the Corporations Act 2001 (Cth) (s912A(1)(j)). certain remedies and penalties available to ASIC against AFS licensees, such as the powers to impose or vary license conditions; vary, suspend or cancel a license; seek injunctions; and impose penalties (s914A, s915A, s915B, and s1311(1)). It is clear that the proposed application process for a FAFS will be similar to a standard AFS license, and although arguably a slightly ‘lighter touch’ version will still likely take several months to process and involve significant cost (circa: >50k, excluding ongoing compliance costs), which suggests that affected FFSPs should look to commence their licensing applications as soon as possible. If you are an FFSP and decide not to apply for a foreign AFSL and cannot rely on another exemption, you will need to exit the Australian wholesale investor market by the end of the transition period. terminating the fund and realise the fund’s assets – ASIC has indicated in CP 301 that their proposals are not final policy. As referred to above, if you are a limited connection FFSP or a new FFSP that is licensed or authorised (as applicable) and operating in a jurisdiction that ASIC has recognised as ‘sufficiently equivalent’ to Australia’s financial services regime, you will be eligible to apply for a foreign Australian Financial Services licence during the transitional period. As identified in previous ASIC Class Orders (see above), these sufficiently equivalent jurisdictions are Germany, Hong Kong, Luxembourg, the United Kingdom, Singapore and the United States of America, and also Sweden, France and Brazil. ASIC states in CP 301 that it is not proposing to undertake a further ‘sufficient equivalence assessment’ of the foreign regimes that ASIC has already assessed under its current sufficient equivalence relief; for other regimes, the applicant will need to engage with ASIC about ASIC undertaking a sufficient equivalence assessment. Although ASIC is likely to seek to streamline the AFS license application process, through exempting FAFS licensees from s912A(1)(d), (e), (f), and (j), this raises the question as to whether ASIC will require applicants for a FAFS licence to appoint responsible managers (which ordinarily comprises part of ASIC’s assessment of organisational competence under s912A(1)(e)) and/or submit documentary Proofs demonstrating adequate financial, technological or human resources (which ordinarily comprises part of ASIC’s assessment under s912A(1)(d)). Significantly, although ASIC proposes to exempt FAFS licensees from a number of requirements in the Corporations Act (listed in Table 4 of CP 301) and Corporations Regulations (listed in Table 5 of CP 301), some of the key financial record-keeping obligations (s987A, 988A, 988C, 988D(b), 988E and 988G) will apply under the current proposal. In practical terms, this may require FAFS licensees to demerge financial records about their Australian transactions from their consolidated financial records. In addition, it is proposed that FAFS licensees will be subject to ASIC’s direction power (in s912C), the Australian breach reporting requirements (in s912D), the requirement to cooperate with an ASIC surveillance (in s912E), and the other remedies and penalties available to ASIC against AFS licensees (in s914A, s915A, s915B, and s1311(1)). If you are engaged in inducing conduct (as defined in the Corporations Act, and which does not otherwise come within the scope of an existing AFS licensing exemption), through for example mass marketing campaigns with wholesale clients in Australia , and currently rely on the limited connection relief, then consideration might be given to applying for individual relief, given ASIC has flagged in CP 301 that it is retaining its discretion to issue such entities with relief on a case-by-case basis. While it is presently unclear whether such applications will be governed by the requirements of RG 176 (which ASIC intends to revise) or RG 51, we would encourage early engagement on the issue. Under the current proposal, FAFS licensees will be able to appoint corporate authorised representatives under s911A(2)(a), to enter into intermediary arrangements under s911A(2)(b), and will remain liable for their representatives’ conduct. It will be interesting to see how ASIC intends to ensure its representatives are competent and adequately trained to provide the financial services under s912A(1)(f). The overriding consideration is that the introduction of FAFS licences will impose significant compliance costs on FFSPs. Costs associated with an application for an AFS licence can often be in excess of A$50,000, and this does not include the ongoing compliance costs. This is particularly problematic because providers of financial services who induce persons to use their services are covered by our licensing regime, even where the services are provided entirely from outside of Australia. This means FFSPs will be required to make significant upfront investment before they know whether they will be appointed by any Australian based clients. Licensed FFSPs under the new regime may also need to pay levies to ASIC under the ASIC fee-for-service regime, the details of which will need to be worked out. In addition to direct costs, it is likely that significant delays (and associated indirect costs) may be experienced due to the new framework being new to ASIC personnel, and the need for foreign financial services firms needing to prepare the necessary documentation along with accompanying ASIC requisitions, all of which need to be accounted for in terms of business planning. While ASIC has indi­­cated they will release further specific guidance on the process of lodging a FAFS license application, we would encourage FFSPs to become engaged in the consultation process by either making direct submissions to ASIC by the closing date of 31 July 2018 or by contacting us to discuss how the above developments might affect your company, including possible restructure of a service offering to benefit from our onshore capabilities.  One Investment Group is Australia’s largest provider of outsourced trustee and administration services to investment managers and the only provider able to provide a holistic solution to offshore fund managers or a single service. Should you be considering outsourcing some of your current roles in order to reduce your regulatory burden, please do not hesitate to contact us.